The first of two Broderbund-distributed Ultrasoft adventures casting the player as Indiana Jones wannabe Mac Steele. 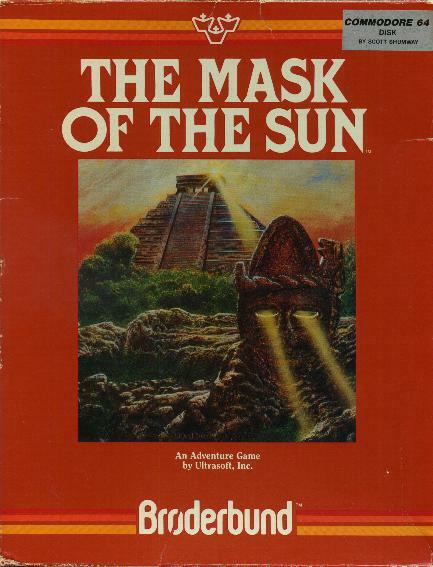 Set on an archaeological dig in Mexico, with the Aztec mask from the title as the goal. The package above is a large box, 8?" x 11", but it's more commonly found in a 7" x 9" box like my Serpent's Star, and I believe a pre-Broderbund folder version exists as well.